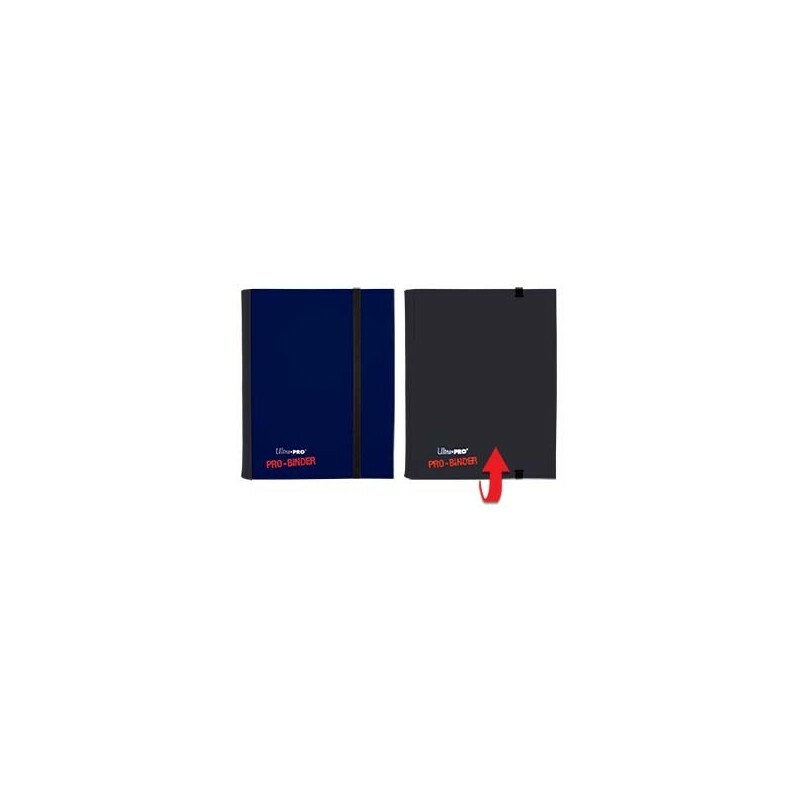 4-pocket PRO-Binder in Blue and Black to represent two popular colors. Embossed middle black web material gives cards a classic framed look. Side loading pocket design to prevent cards from easily falling out. 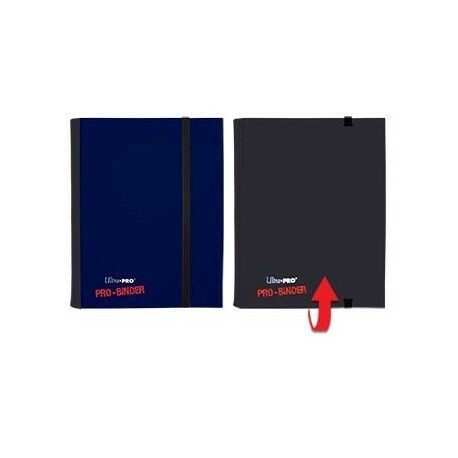 Elastic strap holds the binder shut when not in use. All materials made from archival-safe, acid-free non-PVC material. Holds 160 cards in Ultra Pro Deck Protector sleeves.